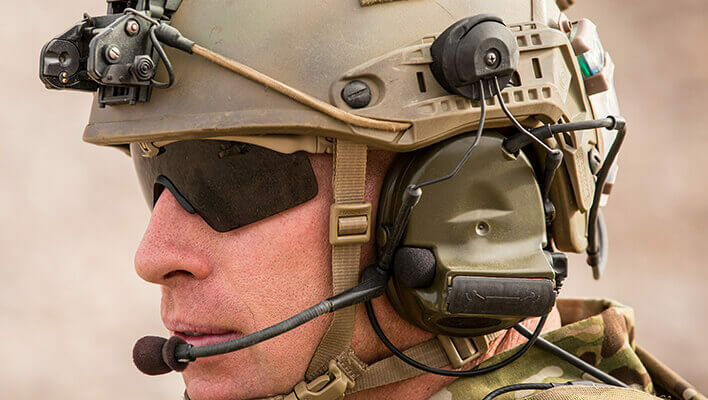 The Army’s MCEPP program offers protection to soldiers’ eyes from ballistic fragments by allowing soldiers to choose their own approved eyewear. As more options are provided to soldiers, MCEPP hopes to increase the number of soldiers who wear protective eyewear thus reducing the number of eye injuries sustained by soldiers in training as well as in combat. MCEPP’s goal is to increase the number of soldiers who wear protective eyewear thus reducing the number of eye injuries sustained in training and combat. All approved military eyewear should meet or exceed protective standards established by the Integrative Protective Team (IPT). The IPT is a committee appointed by PEO Soldier to validate safety standards and test protocols and to approve new products for the Authorized Protective Eyewear List (APEL). 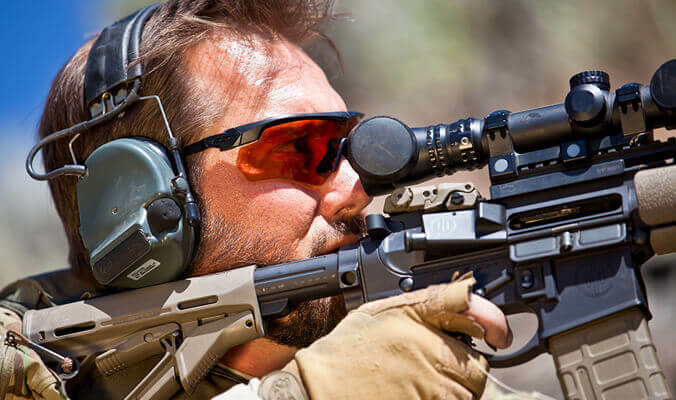 Commercial eyewear products are put through a rigorous testing procedure to determine their ability to withstand ballistic fragments such as rock, glass, and shrapnel in both a laboratory and a field environment. Eyewear that passes these tests is included on the APEL, which is updated on a regular basis. APEL is a listing published by PEO Soldier of all eyewear products that have been approved for military use by the MCEPP-IPT. All APEL items must be labeled on the packaging and frame with “APEL,” which indicates the product is on the APEL. Anyone purchasing their own MCEP should look for this label. Only eyewear on the APEL has been validated against Army requirements for protection against ballistic fragments. Eyewear not on the APEL is not authorized for wear during combat or training or even when there is a risk of eye injury. Products on the APEL are tested every two years and routinely sampled for compliance. 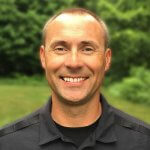 APEL items with changes in the design or fabrication process require immediate retesting, and items can be placed on suspension resulting in recertification needed to get back on the list. 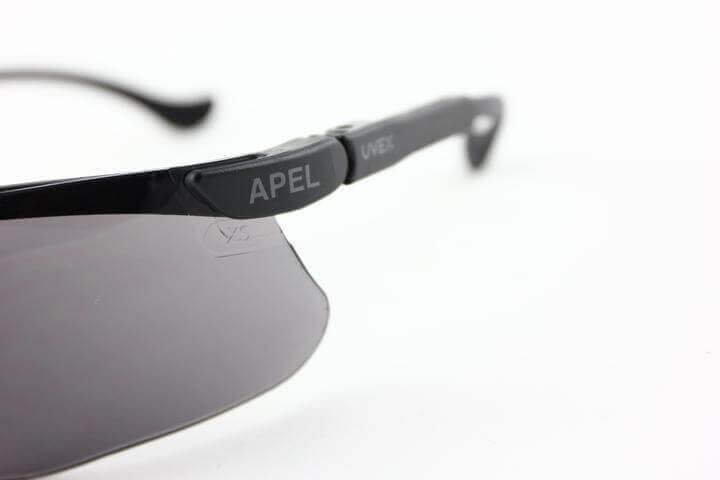 An example of the APEL label on a pair of Uvex Genesis Ballistic Safety Glasses. APEL designated protective eyewear from a variety of manufacturers such as ESS, Oakley SI, Smith Elite, Uvex, Wiley X and others have all made the APEL. Currently, MCEPP is working with vendors to make improvements in eyewear for soldiers. Improvements needed include better scratch, fog and impact protection as well as protection against exposure to contaminants such as bleach and dirt. 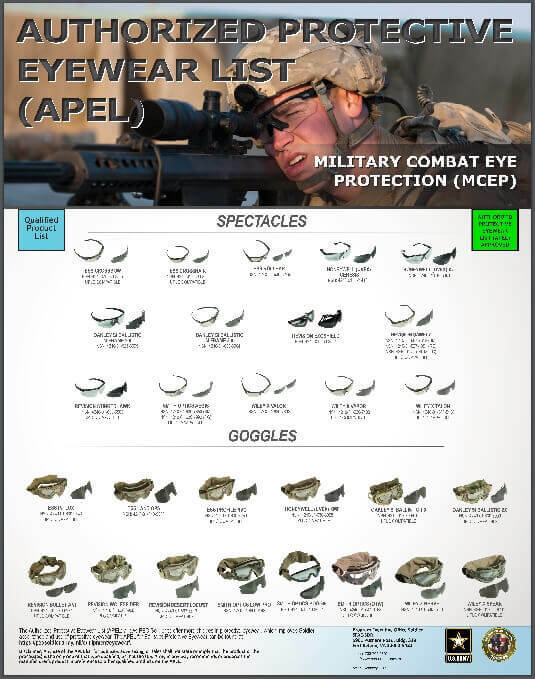 Also, new goggle colors, universal prescription inserts (now available), and active laser protection are on the list of future interests for MCEPP. Products on the APEL are tested every two years and routinely sampled for compliance. Here’s additional information on the submission process for inclusion on the APEL. Here’s a link to a downloadable PDF for the current APEL list. Do you have a question or comment about this article? We’d love to hear from you, please leave a comment below.